Researchers have conducted a series of tests on popular 3G/4G mobile modems (data dongles) and routers discovered an impressive number of serious flaws. Sometimes old news came back threatening our cyber security, all because 3G/4G dongles keep in being as vulnerable as they were in the past. In the last report issued by the SCADA Strangelove team, the authors demonstrated that 3G/4G dongles are vulnerable to several attacks, including Remote Code Execution (RCE), Cross-Site Scripting (XSS), Cross-Site Request Forgery (CSRF) and integrity attacks. The experts tested a wide range of attacks against these devices, including SIM card cloning, data interception, subscriber location, device identification, code injection, PC infection, access to user accounts on the operator’s website, and APT attacks. 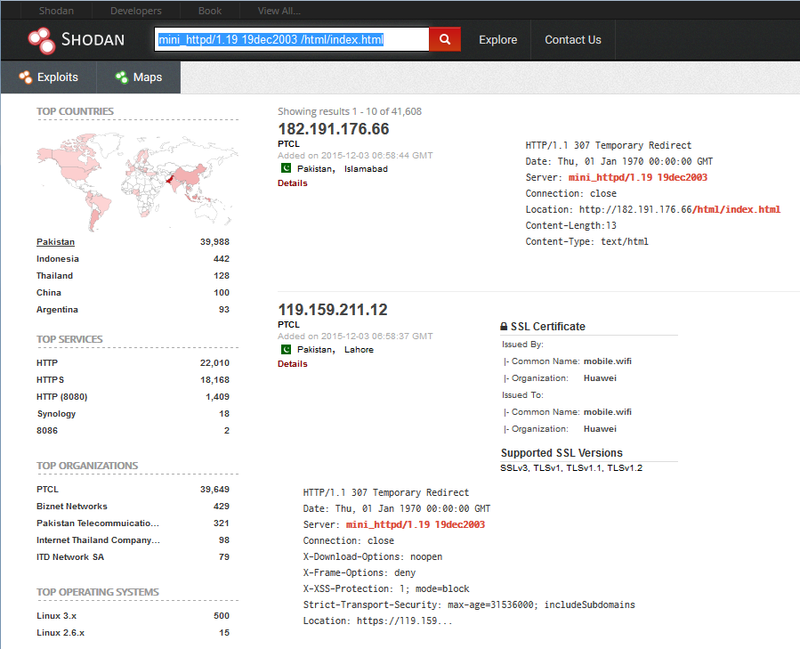 Researchers collected data in a week, the explained that is quite simple to verify them using Shodan and querying for “mini_httpd/1.19 19dec2003 /html/index.html“. Summarizing, Huawei modems with the most recent firmware updates are the ones with a better layer of security … there is still much to do with 3G/4G dongles. The post 3G/4G modems continue to be vulnerable appeared first on Security Affairs.